I’m so excited to share this recipe with you from my friend Lori. I had first met Lori when we both lived in Dallas. She now lives in Austin and I really hope to reconnect with her one of these days in Austin or Seattle or somewhere in between. 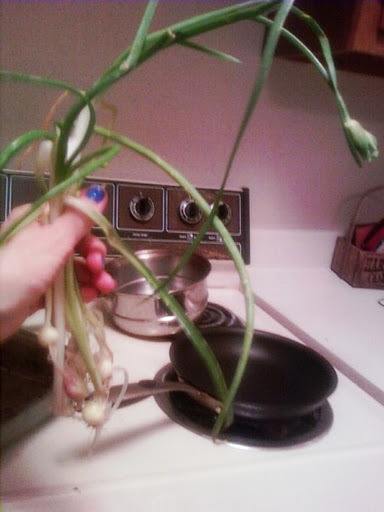 Tonight, I came across Lori’s post on Facebook “I found some delicious wild onions growing” and had to find out more. 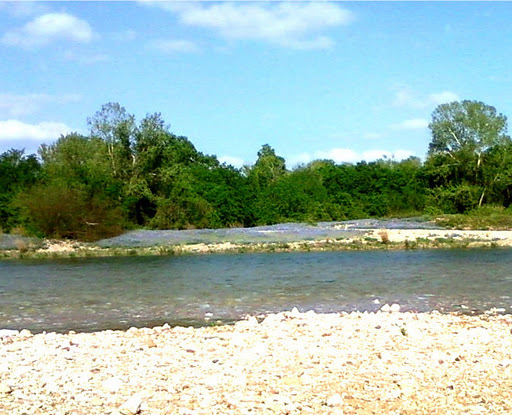 A Native Texas (not Dallasite), Lori was visiting one of her favorite spots on the Texas Colorado River and came across wild onions that she remembers harvesting as a child with her mom. 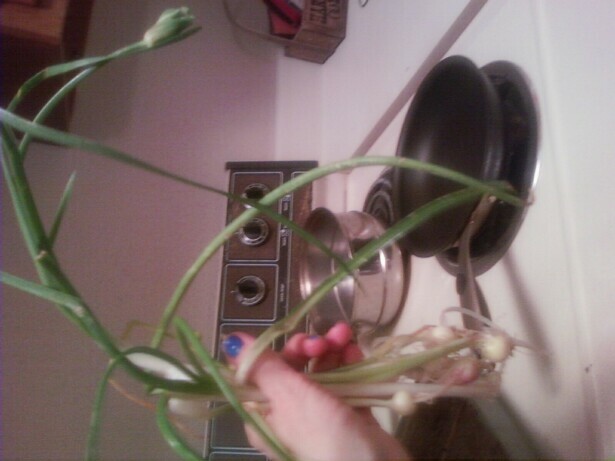 This time around, she picked up the onions and turned them into a delicious Texas Colorado River Wild Onion Pita Pizza. Sounds delicious to me! And if her recipes are anywhere nearly as great as her haircuts, this one is definitely a winner!